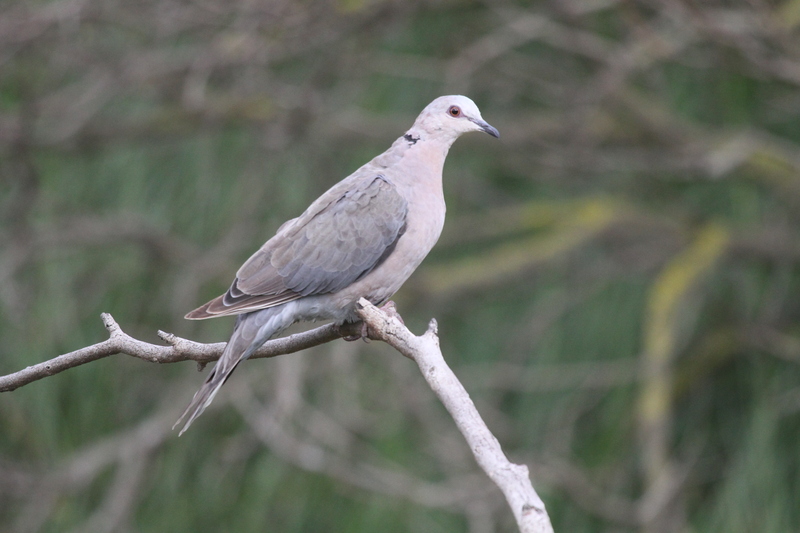 The Red-eyed Dove (Afrikaans name, Grootringduif) is the largest collared dove. It is a common resident of gardens,forest and woodlands. It has a distinctive call of “work harder, work harder” once you hear it you will always remember it.